As parents, we would always want what is best for our children. We want our children to be successful at home, in school, and in their lives. To do this, there are certain considerations that we must take and one of which is to always provide healthy snacks to take to school. While school is considered a very busy time for kids, it is still beneficial to take into account the food and nutrition that we provide them. In fact, we should always consider providing proper nutrition to our children, as research shows that nutrition and academic performance are linked. Many parents are actually not aware that poor snacking habits have a negative impact on their children’s performance in school. Health experts are encouraging parents to pay special attention to the snack options that they provide and prepare for their children. It is important for parents to plan and prepare healthy snacks for school as this can fuel their children’s academic success. 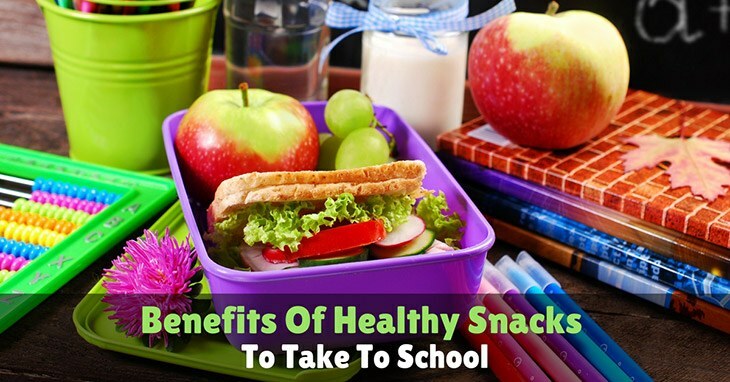 Aside from this, there are other benefits that preparing healthy snacks for school offer. Eating healthy snacks can increase your child’s nutrient intake. Moreover, this can improve the quality of your child’s diet. You should make sure that you prepare nutrient dense foods for your child’s snacks as this would help meet the recommended intake of certain nutrients and food group servings. You can prepare healthy snacks like whole grain crackers topped with tuna, yogurt with vegetables or fruits, or fresh fruits with oatmeal. Healthy snacks can also help sustain your child’s energy levels while in school, ultimately boosting your child’s academic performance. After eating a snack or a meal, your child’s blood sugar will rise and eventually decrease. When this happens, your child will feel tired as his blood sugar gets too low. With healthy snacks, you can prevent your child’s blood sugar levels from decreasing too much in between meals. You should avoid sugary snacks and opt for healthier snacking options instead. While sugary snacks may provide high blood sugar and energy crashes, healthy snacks can promote a more sustained blood sugar levels and energy. High protein and high fiber snacks like carrots with bean dip are a great alternative to sugary snacks as they are slow to digest, ensuring that blood sugar levels do not fluctuate much. Healthy snacks along with exercise and social connections can help improve your child’s mood in school and at home. When your child eats healthy and balanced snacks and meals, you are assured that your child will feel better and happier. Add in exercise and your child’s brain will produce more endorphins which promote your child’s happiness and mood. As an added bonus, you can also improve your child’s mental function and mood if you spend time with him and make social connections. 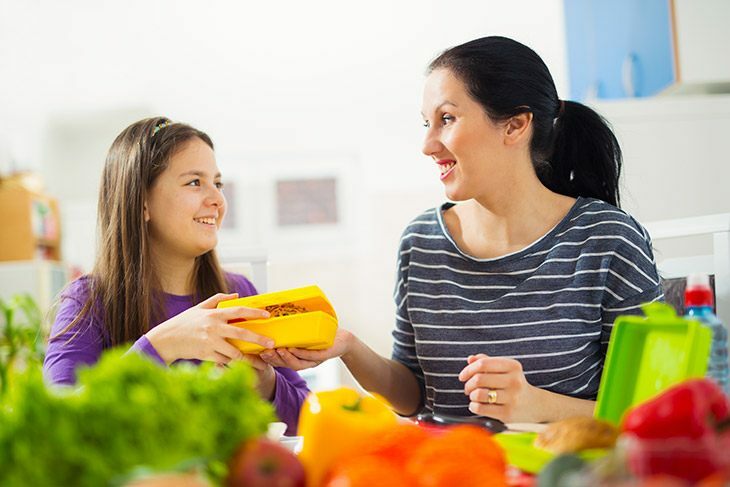 Connecting with your child socially can be done through activities like allowing your child to help you prepare healthy snacks for him to take to school. You can even let your child plan his healthy snacks by providing him with healthful options. Healthy snacks can boost your child’s immune system, allowing him to fight off diseases and infection and prevent the development of chronic diseases. When you child’s immune system is functioning properly, you are guaranteed that your child is healthy and will not likely contract any diseases or illnesses in school. To improve your child’s immune system, you can prepare healthy snacks composed of fruits and vegetables. Fruits and vegetables contain immunity-boosting phytonutrients like vitamin C and carotenoids. Phytonutrients increase the production of white blood cells and interferon in the body. White blood cells fight infection while interferon is an antibody that coats the surface of the cells, blocking out viruses and other infections. Eating foods rich in phytonutrients can also protect your child from developing chronic diseases like cancer and heart disease when they reach adulthood. Providing healthy snacks for your children to take to school can help overcome as well as prevent nutrient shortfalls in children while promoting healthy growth and development. You should include foods like whole grains, milk and dairy products, fruits, and vegetables in your child’s snacks. These foods provide nutrients required for healthy growth and development of your child. A healthy and balanced diet is related to academic achievement. That being said, it can be presumed that providing adequate and nutritious foods to our children can enhance your child’s performance at home and in school. The absence of certain types of nutrients in a child’s diet can actually have a negative impact on the child’s grades and attendance. Moreover, those children who do not eat enough dairy foods, milk, fruits, fruits and vegetables tend to have lower grades compared to those who eat them. In addition, children who do not eat foods that are high in nutrients like vitamins B6, B12, A, C, iron, zinc, and calcium are most prone to absenteeism, tardiness and having lower grades. Snacking is an important part of a child’s diet, as they have smaller stomachs and they are not able to eat enough food to stay full in just one meal. Likewise, children should snack every four hours throughout the day. 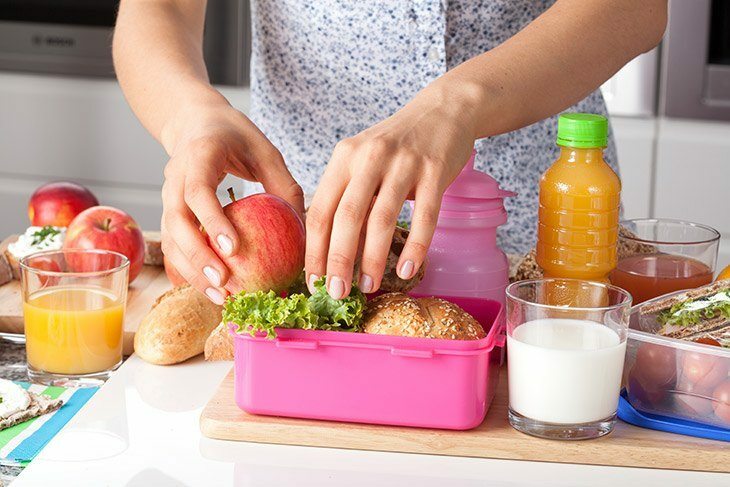 With healthy snacking, your child does not only stay full throughout the day but they are able to learn healthy eating habits just like eating ample amounts of healthy snacks only when they are hungry. Healthy snacks can also avoid a pattern of boredom eating as well as eating based on emotions. There are four guidelines in creating healthier snacks for your child to take to school. First, you start with snacks from the food groups. Most children do not get enough low-fat dairy, whole grains, fruits, and vegetables. You should look into these food groups in creating healthy snacks for your child. Second, you should think of snacks as mini meals and consider combining two or more food groups. This way, you are able to create a healthy and nutritious snack. Third, you should consider choosing snacks with protein from nuts, eggs, lean meat, or milk to help your child feel full longer. Last, you can pitch in foods that are rich in carbohydrates like grains, fruits and vegetable to boost your child’s energy levels. For the dairy food group, you can have string cheese and fruit, milk or yogurt smoothies with juice and sliced strawberries and bananas, and cottage cheese with fresh fruits. For the fruits and vegetable group, you can prepare raw vegetables with yogurt dip, baby carrots, cucumber slices and celery sticks, apples and cheese, and 100 percent fruit juice box. For grains and proteins group, you can prepare whole grain crackers with peanut butter or cheese, whole grain cereal with milk, baked potato chips with salsa, and a trail mix with nuts, cereals and dried fruit, and pretzel sticks with a glass of milk. Parents can definitely mix and match foods in different food groups to create a nutritious snack for their children. You can even tap your creativity and make the snacks more colorful and enticing to eat. Preparing healthy snacks for school is important in promoting your child’s performance. As parents, this should always be our priority. With varying and degrading snacking options these days, this may seem impossible. However, with the right and smart snacking choices, you can still make this happen. 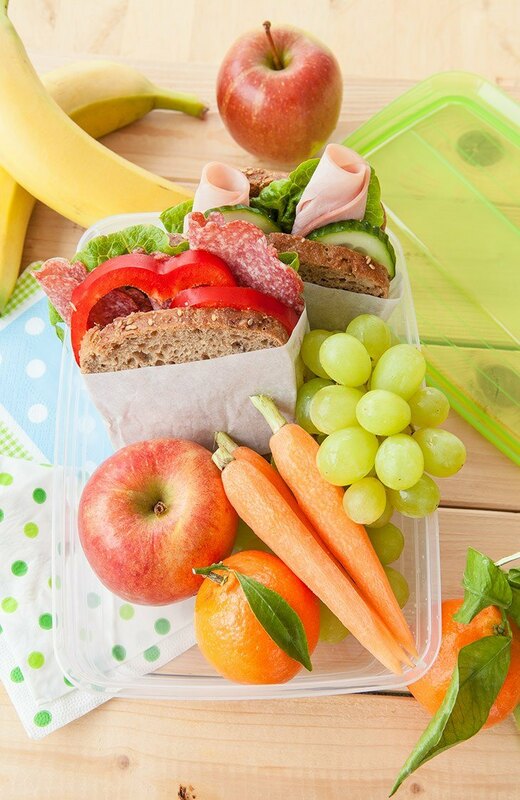 You can always prepare healthy snacks at home and have your child bring it to school. With healthy snacks, you can increase your child’s nutrient intake, improve your child’s mood, improve your child’s energy levels, boost your child’s immune system and ensure your child’s healthy growth and development. Ultimately, your child’s performance in school can greatly be improved when you are able to provide your child with proper nutrition through providing healthy snacking options. If you find this article helpful or if you have other smart healthy snack ideas you would like to share, leave a comment below.